What if a Disaster Strikes While You're Away from Home? 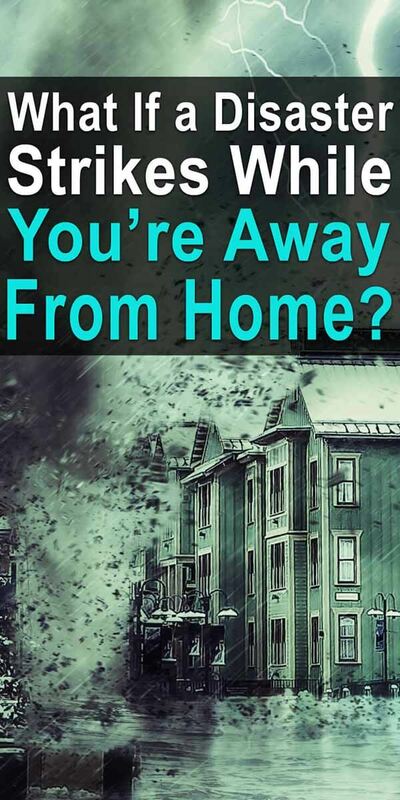 You are here: Home / Survival / Disasters / What if a Disaster Strikes While You’re Away from Home? What if a Disaster Strikes While You’re Away from Home? A person’s home is their castle. 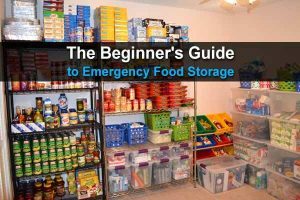 For preppers, almost every aspect of their survival plan is centered around them being at home when disaster strikes. But what if disaster strikes while you’re away from home? Everyone spends some time away from their home for one reason or another, be it a vacation, a business trip, or visiting family for the holidays (like I will be this weekend). An EDC (everyday carry) bag is one of the best ways to ensure you are prepared no matter where you go. First, it’s important to define what an EDC bag is and how it should be treated. While a bug out bag can be stored in your home and is meant to be grabbed in case you have to quickly evacuate, an EDC bag is something you carry with you wherever you go. It doesn’t necessarily have to be on your person at all times, but it should be stored in a spot where it is easily accessible at all times, such as in the trunk of your vehicle. This is important because if you don’t have your EDC bag with you when disaster strikes, it will be completely useless. Taking an EDC bag with you while traveling shouldn’t be too much of a hassle if you already have luggage. If you’re flying, just use a larger suitcase than you normally would and put your EDC bag in there (they won’t let you carry most EDC items on the plane). As soon as you land, get it out of your luggage. A big part of disaster preparation is having the right items when a disaster strikes. If you commit to having an EDC bag with these items at all times, you’ll be better off than 99% of other people. 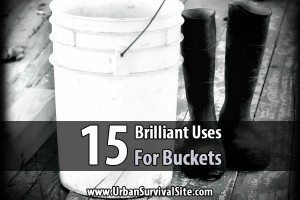 It’s great to have useful items in case disaster strikes, but the most useful item you have goes with you everywhere: your mind. While using your wits is always important in a disaster scenario, it is especially important if that disaster happens to strike while you’re away from home. Being caught up in a disaster in an unfamiliar city will require intense levels of problem solving and decision-making that will tax even those with the most honed survival instincts. For this reason, one of the most effective ways you can prepare for dealing with a disaster while away from home is to start honing your problem-solving abilities and situational awareness. Research how to survive scenarios and environments that may not normally be applicable to you. 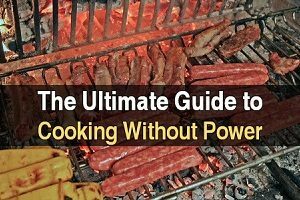 For example, if you live in Miami, desert survival may not be something you’re concerned about, but if you’re in the middle of a road trip across the country and happen to be in the middle of Texas when an EMP goes off, desert survival skills will be crucial if you want to live. The bottom line is, the more you know, the more you’ll be prepared for. Since travel forces you into environments and situations that are outside your normal routine, it’s important to know how to deal with every possible environment and situation in case disaster strikes while you are there. While knowing as much as possible is great, travelers do have the advantage of knowing where they’re traveling to, and this is information that you should put to use. For example, if you are traveling to a small town in Idaho, take the time to learn about the place before you leave. What type of shelters do they have? What are the woods surrounding the town like, and are there any dangerous animals you need to know about? Are there any freshwater sources nearby? What about food sources? If you are traveling outside your country, it’s important to consider how the government, as well as the citizens, will respond to a disaster. Will you be able to trust government officials to help you, or will you be better off steering clear of them? Will you be able to return home, and if so, what is your plan for getting there? Knowing the answers to these questions ahead of time will make you far more prepared to deal with a disaster than you would be if you were trying to figure it out on the fly. While you are researching the place you’re traveling to, be sure to hop over to Google Maps and get a feel for the layout of the place. Satellite imagery has made it easier than ever access images of anywhere in the world (even POV images thanks to Google Street View), allowing you to memorize the layout of a town, city, or stretch of wilderness before you even arrive. Being able to use this knowledge to swiftly navigate your new environment could prove incredibly useful in the event of a disaster. This is a subject that I don’t think gets enough coverage. There are a lot of articles regarding getting home if you are 30 miles away or so, but not enough if you are really far away. For example, I am currently living about 800 miles away from my spouse due to work. I am in Southern VA and she is in NE Florida. I stay in a camper up here and would have to get back to her if things ever got bad. 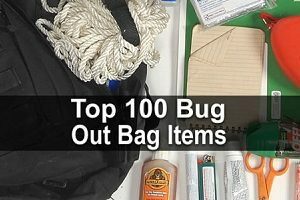 I have a bug out bag that at least gives me a shot at making it back there. I have a get home bag always in my truck along with a mountain bike to get back to my camper. My plan would be to get back to my camper and grab my GHB. Depending on what is going on, I would start towing the camper but cut it loose if needed. Or leave the camper to save fuel. 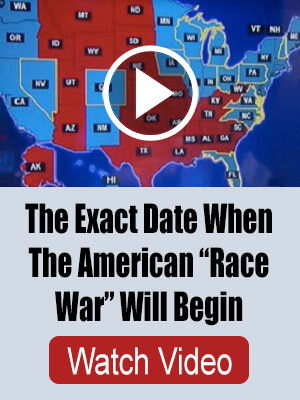 This would depend on what is going on. I would get as far as I could that way. I have a good bit of spare cash and also a small electric pump with some hose to get more fuel. I specifically bought a diesel figuring there would be less demand for that compared to all the people fighting for gasoline. And depending on what has happened, I can hit up abandoned semi’s also. If the truck becomes not possible, I can move to the mountain bike. I also stopped at every state welcome center and picked up state highway maps for each state. I’d like to have more detailed maps but it isn’t realistic to carry that detailed of a map to cover an 800 mile trip. I have several routes planned based on what I think may happen but I expect some changing on the fly knowing I can’t prepare for everything. Once I get home, we have about a year worth of food. We living in a rural/suburban area. Lot’s of firewood, etc. She has two locations she knows to go to if she must leave before I get there. I told her to spray paint a code word on the side of the house if she must leave. But she knows I am coming there and only death will stop that. Anyone else in a similar situation and how have you planned for it?